The Company is committed to protecting the environment and shall strive for continual performance improvement in every aspect, especially pollution prevention. The Company’s EMS emphasizes source reduction, including funding and human resources necessary to effectively maintain and repair the systems, equipment and components found in machinery spaces of the vessels. All personnel of Chandris (Hellas) Inc. implement and maintain the EMS in order to continuously improve the Company’s performance with respect to the environment. The company implements Environmental programs and appropriate protective measures to control risks. 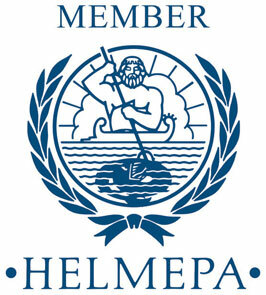 All Chandris (Hellas) Inc. personnel and Senior Officers, whether ashore supporting our ships or at sea working onboard, will actively work to prevent unsafe acts and damage to the environment and they should lead by example complying with the strictest environmental practices and procedures. In Chandris (Hellas) Inc. shipping activities, energy use is a major part of global operations. It is our strategy to reduce the environmental impact of fuel use and at the same time support energy sustainability via rigorous energy conservation process. Promote energy awareness to all our employees both onshore and at sea and also to encourage third parties to join us in this effort. Equip our existing ships with the required software and hardware to reduce energy consumption but also to incorporate innovative energy designs to future ship procurement and new-building programs.